Richmond!!! We did it! We've qualified for the FIRST Robotics World Championship Competition in Detroit, MI! What an amazing journey this has been! We just took 2nd place at the District Championship Competition in Fairfax where we competed against the top 58 teams across the Maryland, DC, and Virginia area. 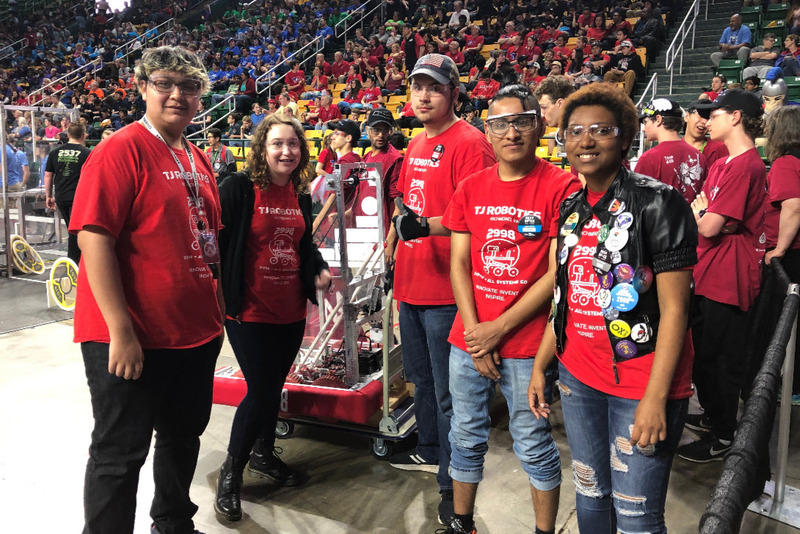 Please help us cap off this amazing season with the trip of a lifetime to show to the WORLD that we, 25 kids from the heart of Richmond, are truly among the best in science, technology, engineering, and math! We are the Team 2998 VikingBots, of Thomas Jefferson High School - a Richmond Public School robotics team that competes in the FIRST Robotics Competition . We are a student led organization made up of a diverse group of like minded students looking to become tomorrow's technologists, problem solvers, and innovators! Proud to Be RPS! Proud to Be Richmond! We are the only Richmond Public School robotics team and we stand to make Richmond proud! So please help us reach greatness and fuel our success in STEM education! Thank you for your support! Your donations are used directly by our mentors to pay for our travel and food expenses. Any remaining funds will be used to support the team in future seasons. Hello, my name is Kou Vang, and I am the lead mentor and coach for the Thomas Jefferson High School Robotics team. If you have any questions about donations, or how you can support the team, please don't hesitate to contact me. And for transparency - I manage a lot of the day to day funds needed through my personal account. I actually front a lot of the costs for the team and these funds help reimburse me. I record all donations and expenses to keep track of the balance for the team. Any unused funds at the end of the year will be transferred to our TJ Vikings Fund account.